Since the completion of the Obereggerhof farm in 2011, the Gasser Family has been hosting guests at their little nature idyll in South Tyrol. 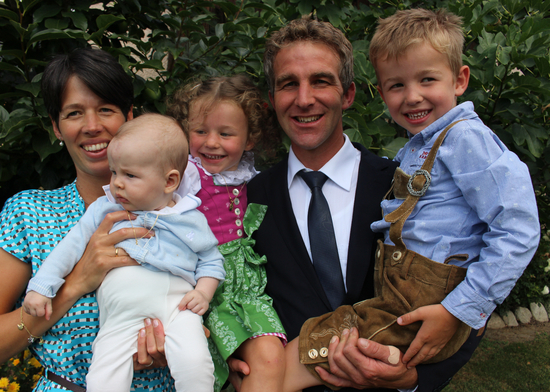 While Maria Gasser is primarily in charge of making visitors feel welcome and caring for her two small children, Matthias, Theresa and Peter, farmer Stefan attends to the plants and animals at the Obereggerhof farm. In addition, Stefan, along with his parents, grandma Irmgard and grandpa Seppl, manage the Braundornerhof farm in the neighboring town of Schabs. Lucky for the guests: They can experience two South Tyrol farms. At Braundornerhof, visitors are warmly welcomed to watch over Stefan's shoulder while he milks or manages the apple orchard or they can even lend a hand.